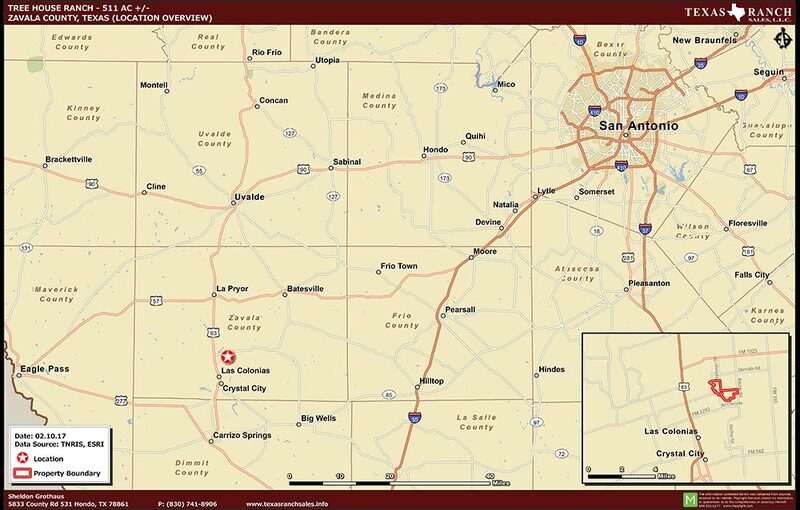 The Tree House is located in Zavala County, outside of Crystal City, approximately 2.2 miles East of Hwy 83 and FM 1025. The ranch may be accessed from FM 1025 from Marburger Road or Ritchie Road, which are both County Roads. The Tree House has over 3.5 miles of Nueces River frontage, which borders the west and southwest portion of this ranch. 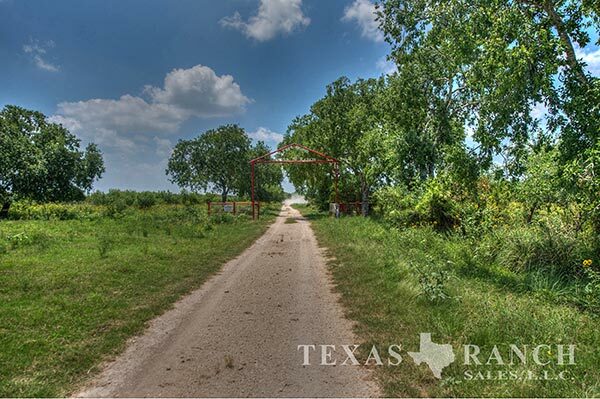 This ranch is a great place to getaway, a nice place to hunt or ranch and to enjoy the outdoors. It is covered with various native grasses, brush and cactus, which provides forage for much of the wildlife and cattle. With over 3.5 miles of the Nueces River; 202 acre feet of water rights from the Nueces are also conveyed. The water going to this parcel comes from the sellers adjacent tract. A shared well agreement will be put in to place or a new well can be drilled. There are two ponds located on the ranch and several water troughs. The ranch is currently under a Level 3 MLD permit. The Tree House is home to an abundant amount of deer, turkey, dove, quail and hogs. A 3,200 sq/ft home overlooks the Nueces River, which is known as the Tree House. It has a large living area with 2 bedrooms, 1 ½ bath and a utility room. The tree house has a new metal roof, windows and drop ceiling. There is a relaxing outdoor porch for grilling, to socialize or entertain, and enjoying the view of the river. There is a 10,000 sq/ft air plane hangar and a 7 stall horse barn located close to the tree house. The Tree House has multiple protein feeders, corn feeders and blinds. Also, provides cleaning station with cooler and storage room conveniently located close to the main house. American Electric Power provides the ranch with 3-phase electricity. No minerals will convey with the sale of this property. The Tree House is a great piece of property for anyone interested in hunting, ranching or wildlife management. 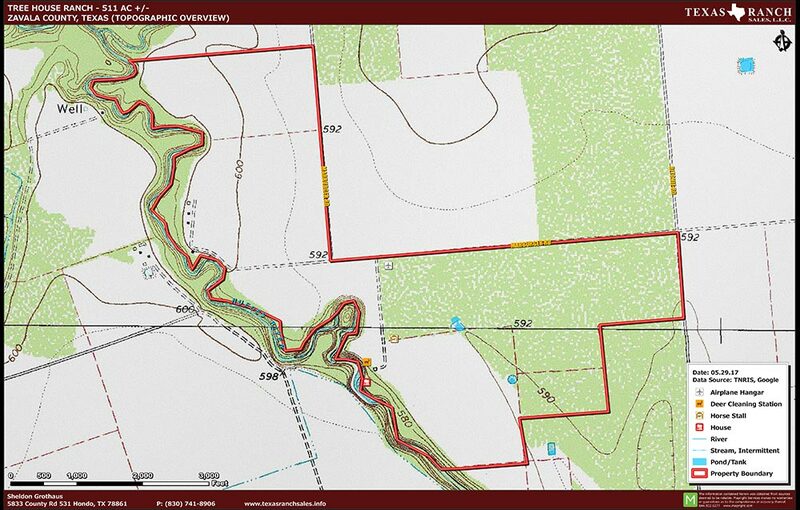 There is additional acreage located on the other side of the county road that may be purchased as well. There is Ag Exemption in place.